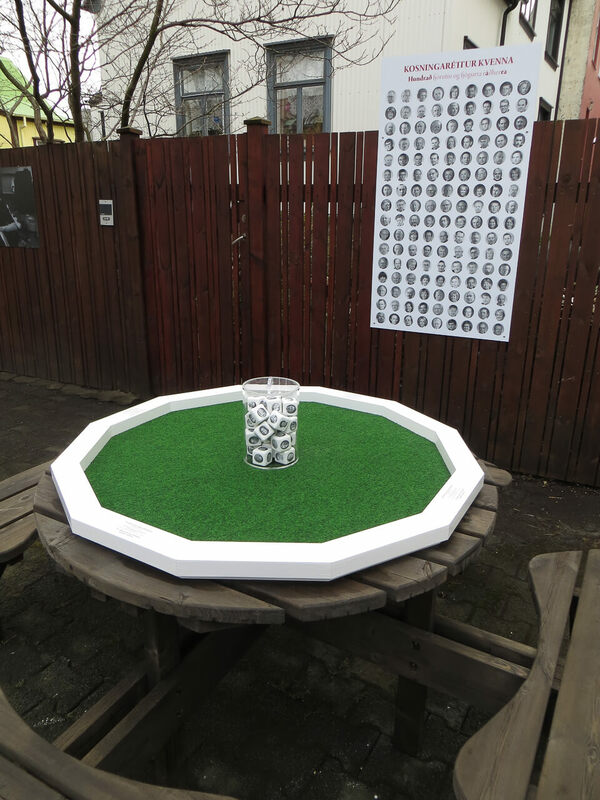 An interactive piece created for the outdoor exhibition “100 kápur á Frakkastíg”, a part of the Reykjavik Arts Festival 2015. 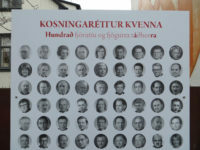 The exhibition was to commemorate the 100th anniversary of Icelandic women’s right to vote. 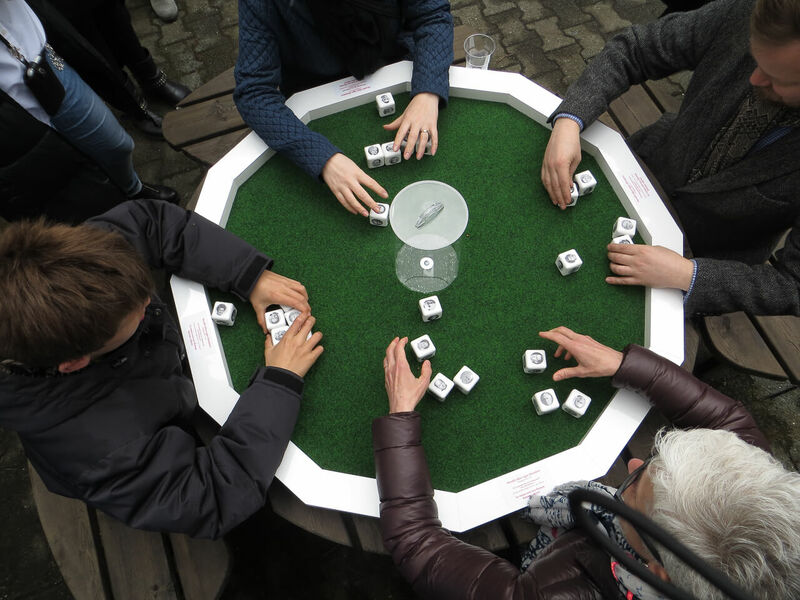 The board game “Miss Minister” is for 4 people. 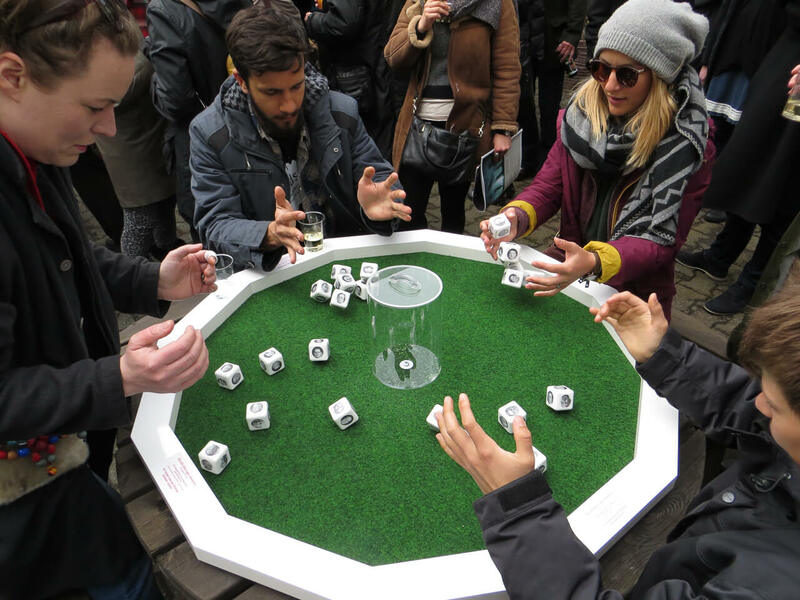 Each player picks 6 dice. 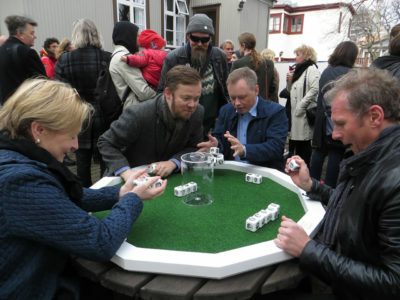 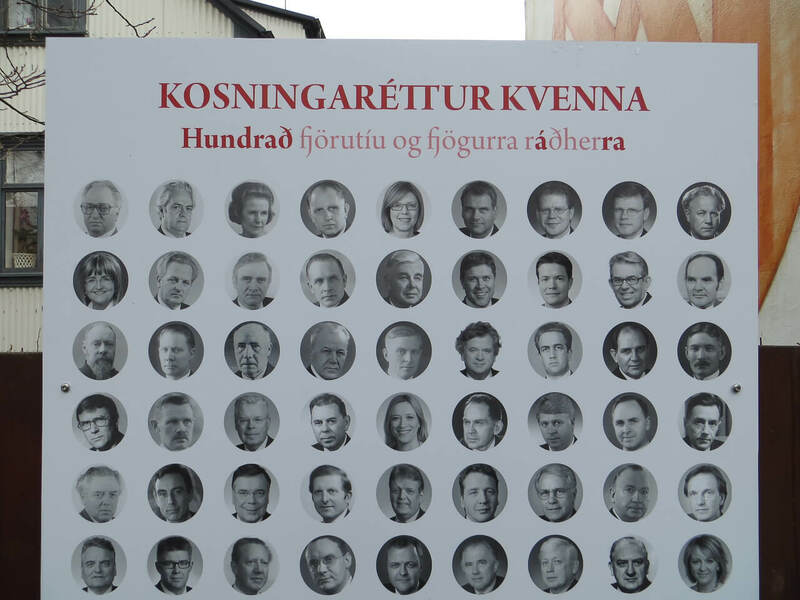 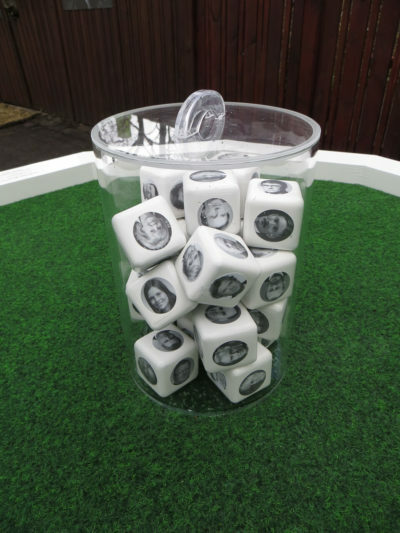 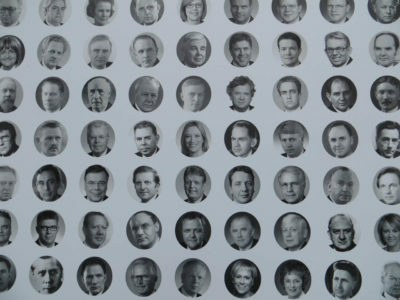 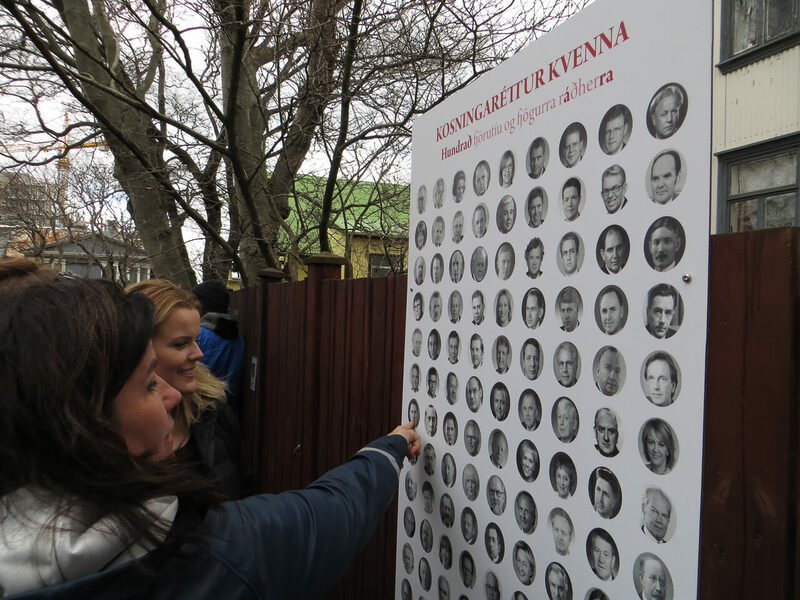 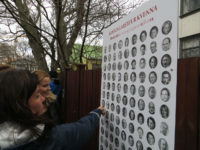 All dice contain images of people who have served as ministers in governments in Iceland 1915-2015, 144 people in all. 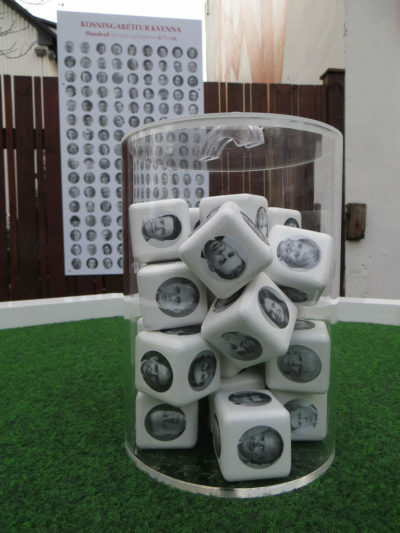 Each dice has the image of one woman minister. 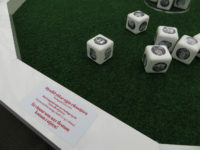 The player is allowed to roll the dice three times in an effort to form a government. 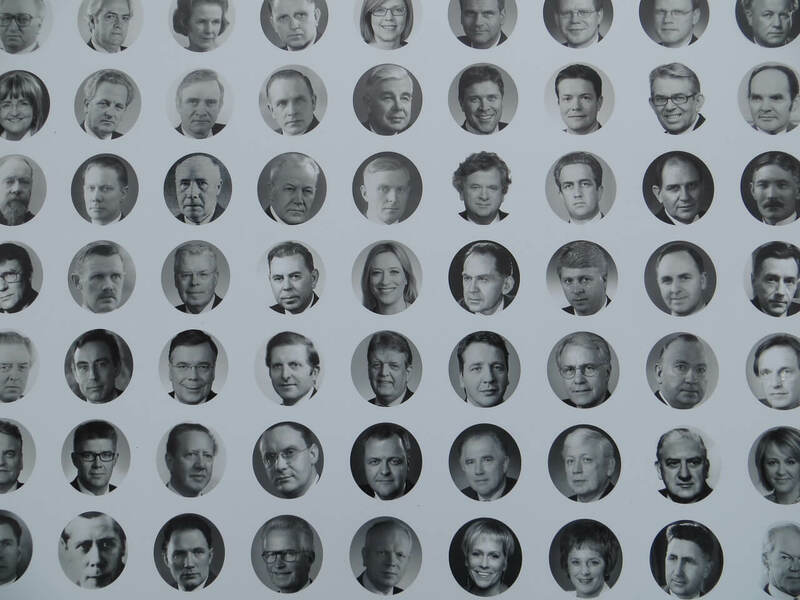 He or she who gets the most women in government wins.